Since both the grape seed extract and resveratrol supplements are associated with the grapes, many confuse them to be the same or rather similar. However, this is not the case as both are entirely different supplements having their own set of healthful benefits. Read on to know some of the way both the supplements are similar, their differences, and the how they are extracted. Grape seed extract is derived, as the name suggests, from the seed of the grape while resveratrol is extracted from the skin of the grape. Resveratrol is also a component of purple grape juice and peanuts. Japanese Knotweed is one of the best, cheapest sources so supplement companies commonly use it. Both the supplements contain properties that can prove to be extremely healthful for our bodies. Resveratrol is believed to have antibiotic, antioxidant, and anti-mutative elements that make it the best supplement for anti-aging properties. On the other hand, grape seed extract is not considered to be the best supplements for fighting aging signs as it deprived of the elements that make the resveratrol the best anti-aging supplement. However, it boasts of various other anti-oxidants and OPCs – oligomeric proanthocyanidin complexes that are known to improve the blood circulation, enhance the health of the brain, and prevent tooth decay. As per the University of Maryland Medical Center, a dose 25 to 150 mg of grape seed extract can be consumed thrice a day for benefitting from its antioxidant effects. While in the treatment of Edema and chronic venous insufficiency, the dosage should 200 to 400 mg and 150 to 300 mg respectively. On the other hand, as per the University of Pittsburgh Medical Center, resveratrol dose of 500 mg is considered to be enough for the day. However, one should consider their physician before deciding on the right amount of dose that can be healthful for their body. 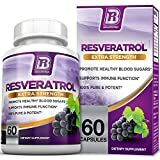 Resveratrol and grape seed extract both are believed to helpful in curing various diseases; however, their aid in treating the ailments haven’t been proven medically. Having said this, both the supplements boast of various elements that healthful for our bodies. Treat edema and poor night vision. To cut the long story short, both the supplements despite having certain similarities i.e. grape being their main source of extraction, are different from each other in the ways mentioned above. Consult your doctor or dietitian before using both or any of these for the betterment of your health as they can have certain side effects as well. 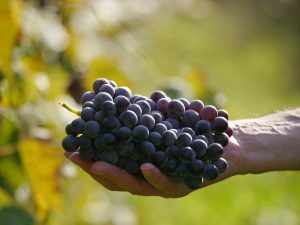 Can Resveratrol Prevent or Reverse Gray Hair? Resveratrol is one of the most discussed supplements on health message boards such as Longecity at Imminst.org. There is a wealth of information in a giant thread entitled the “500 club.” Users chime in about benefits and side effects experienced as well as how much they take daily. You’ll commonly read about increased energy. This effect has been proven in mouse studies. You’ll also come across less common results like reversal of gray hair. There is more feedback about reversal of hairs in the beard than on the scalp. Some have photographed their lower face as evidence. In one example some hairs were dark at the root and white at the tip. Although far from conclusive it seems there is substance to the claims. So far resveratrol users that claim to have less gray on the scalp are met with scepticism. First off, it is very hard to prove because it is a noted improvement, not a dramatic reversal. There are generally 100,000 hairs on the average human head to account for. Secondly, there is no way to confirm that the resveratrol alone is solely responsible for the reversal. Let’s remember that it is a compound taken by people concerned with optimal aging and health. Any number of positive lifestyle changes may help darken the hair. 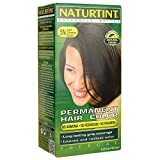 Since gray hair reversal from resveratrol hasn’t been studied or proven it isn’t a good bet to buy it based on a handful of antidotes on the internet. Some lucky folks may experience less gray hair but this should be thought of as a pleasant side effect. Primarily resveratrol’s strength lies in prevention and treatment of a number of age-related diseases. It will certainly make you feel younger. Whether it helps you keep your youthful good looks is still up for debate. Better Off with Hair Dye? Rumours are circulating that L’Oréal holds a patent for gray hair reversal without dye. In the future we may be swallowing a pill to restore hair color. It’s exciting to think about, but still a long way off. If you are unhappy with your grays the best way to take care of the problem is still hair dye. Another option is of course is to embrace your gray. Women are starting to warm up to the idea of showing off their natural color with pride instead of shame. Jamie Lee Curtis, Emmylou Harris and Meryl Streep are just a few of the mature stars inspiring women around the world. Traditionally it was seen as un-masculine to be a slave to hair dye. All this is changing. More men are dying their hair today than in the past.